Today, the funeral for the 41st president, George Herbert Walker Bush took place. It is notable that the American currency bears the motto Novo Ordo Seclorum, which can be translated loosely into a “new world order”, a phrase used by one of Bush’s famous speech before the US Congress in his State of the Union address. These days, riots throughout France by the “yellow vests” have brought to light that many are not on board with globalist leaders and their policies. We can actually view the populist uprising there as a manifestation of a larger movement occurring as the anti-immigrant movements in other nation states of Europe, the Brexit referendum, and even the “America First” support for Donald Trump. So what is at the root of the revolting masses? Let me first present the argument of the contented classes. Globalism is a lofty movement to unify all of humanity as a means to eliminate the root causes of war, inequality, and injustice. By elevating institutions above the sovereign prejudices of people joined by language, shared history, and jingoism, we can elevate all of humanity. As President Macron said during the WWI commemoration, this view holds that patriotism is a betrayal of nationalism. The countervailing narrative is that globalism, in the form of open borders, multinational corporate oligopolies, and control of science, politics, and culture is an attempt to undermine the rights of the individuals and of nations generally. Some might also suggest that those that profit most from war, inequality, and injustice have been the actual proponents of globalism and their antecedents. 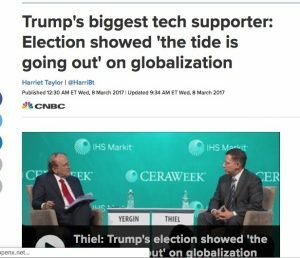 No matter how you interpret the conflict between these notions, people in the know like Peter Thiel state that the tide is going out on globalism. 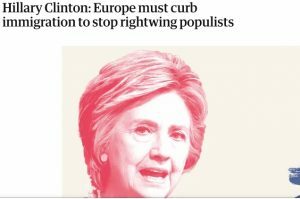 Even Hillary Clinton suggested that the nation states of Europe are leaning right and rejecting the Macrons and Merkle policies of open immigration. Bush’s vision of a new world order was to allow organizations above the level of language, culture, and nation to reshape the world into a new world order. While the notion of open immigration might be as repugnant to certain contemporary European countries as it should have been to the first nations like the Iroquois in the 1600’s, the fundamental problem with globalism is that the parties driving it are not transparent, responsive, or trusted in the views of the masses. In the view of the masses, globalism means losing industry to profit multinational corporations. In the view of many people, globalism means having to integrate people who don’t have aspirations to join the native culture or respect its traditions. In the view of the masses, their lives become more expensive, less tenable, while the rich thrive and own homes and businesses in every thriving corner of the globe. A few years from now, free energy, guaranteed basic income, and labor automation may result in a utopia for most of the “have nots”. But if the push for globalism continues to degrade the ability to survive, be free, and protect sovereignty, then the rise of populist nationalism may be a trend that will be hard to reverse. The Theresa May Brexit proposal was so poorly negotiated that some of her cabinet resigned over it and it has no chance of passing. It is as though I offered you something you dislike to eat so that you choose something else that you hate but I like. Although the majority of the British people didn’t want to be ruled by unelected EU commissioners, they may not get any form of what they wanted by the time this process is dragged on, revamped, and revoted. In many nations with these populist leaders emerging, the people are starting to believe that all their choices are bad ones and that disruption and even rioting may be the only way to make their government listen. One can view the emergence of outsiders like Bernie Sanders and Donald Trump as a manifestation of people so hopeless and distrustful of the politics that they were willing to vote to disrupt a system they could no longer believe in. 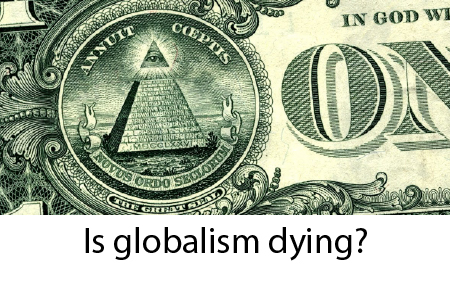 The riots throughout France and the death of one of the spokesmen for the New World Order, former UN Ambassador Bush, may both signal the end of an era for globalism by oligarchy. Perhaps a system of anarchy driven by law and technology will emerge as I certainly don’t believe that modern humans have the appetite for wars when they can clearly see we are all one human race. I already blogged about my plan, which addresses nation states and immigration, in this plan to save the world in 2017. You can read it here. In the meantime, please take the time to listen to this lively France 24 roundtable debate about the protests. It reminds you that there are still some people in media with intelligence who can argue without being inarticulate and inane partisans. I admire the lively discussion and the candor of the participants and am nostalgic for a time when I could admire and even hope to believe the people on American TV news. Bravo Dr Park! Your right on, great information! Another goodie – thanks Ed. Dr. Park, I believe you would enjoy Anarchapulco in Mexico. I went with my wife, Lauren, and brother in February 2018 and enjoyed it very much.